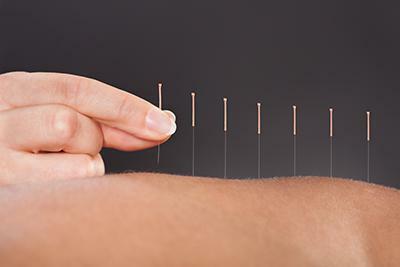 Acupuncture is an important part of Evia Medical Center's integrative approach to health care. The techniques used at Evia include acupuncture, acupuncture with electric stimulation, far infrared heat treatments and the use of herbal remedies in certain situations. In order to establish a medical background and appropriate course of treatment, one of our medical providers will evaluate you prior to starting acupuncture treatments. 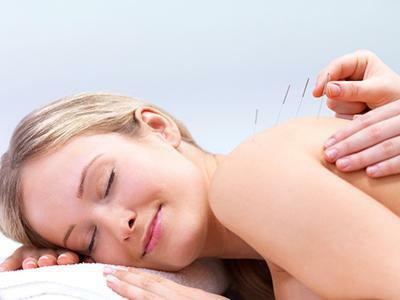 This allows us to ensure that acupuncture is appropriate for your particular medical problem. We do not require patients to change their primary care provider in order to receive acupuncture treatments. Patients should always inform their practitioner if any changes in their medical condition(s) have occurred. Acupuncture treatments are supervised and performed by Dr. Augoustiniatos, Dr. Lynch, and our experienced acupuncturists. At Evia, we utilize strict medical safety and clean needle technique protocols during your acupuncture treatments. 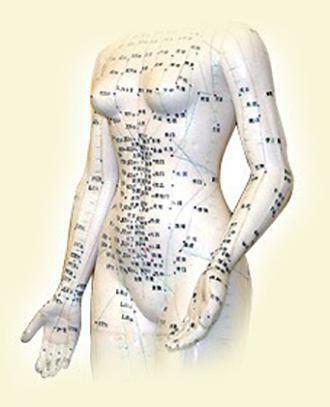 Our acupuncturists utilize very thin sterile single-use needles placed in specific locations on the body to treat a variety of medical conditions. Acupuncture treatments can be accompanied by electric stimulation through these needles in order to deliver a more intense treatment if needed. Acupuncture is usually painless, however, some people may experience a sensation of pinching or pressure which dissipates quickly. We also use far infrared heat lamps which provide deep penetration of heat and are often more effective than typical heat lamps or hot packs. Our plush tables are designed to offer you the comfort to help make your acupuncture experience relaxing and effective within your own private exam room. Patients usually experience improvement in their condition within the first few visits. The clinical benefits of acupuncture have been recognized by both the NIH and the World Health Organization. Acupuncture enhances the body's recuperative power and immunity to promote natural healing. It also improves physical and emotional health and overall well-being. Evia Medical has a large number of acupuncture patients ranging in ages from the late teens through the golden years. We appreciate and are very grateful to all of our patients for consistently referring their family and friends to our practice.